dolphin & whale cruises, real estate, property investment and development, tourist information, beach & rock fishing, Stockton sand dunes & surf cams. 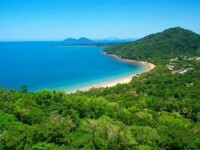 Do you want to see a fantastic waterfront spa resort just opened up recently in Port Stephens? This is a stunning spa property, ideally located close to all the areas local attractions, overlooking the hypnotic waters of Nelson Bay. 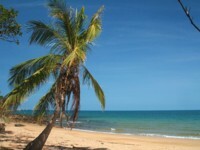 Yoru perfect base from which to explore the sand dunes and many secluded beaches, take a dolphin cruise or a whale watch cruise, go fishing, surfing or just stretch out on the beach and do nothing at all! You choose! Port Stephens : Always so many things to do! It's a magical water paradise - even at this time of year! If you've been to Port Stephens before, then you'll know how fantastic even winter weather can be. If you haven't been here and are tossing up whether or not to take a break - TAKE A BREAK FROM WORK THIS WEEK AND COME UP HERE this weekend! 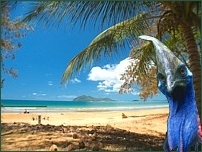 Fishing, bushwalking, BBQ on the beach, dolphin cruise, hire a boat yourself - millions of great things to do up here! A Dolphin Cruise costs around $15 for adults and $12 for children - family tickets are also available. Almost guaranteed to spot a dolphin! If you're not planning to be here - you're missing out a great weekend coming up! 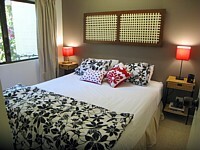 Bali at the Bay is set like a pearl in the heart of Port Stephens. 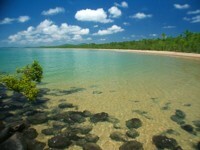 Its premier location is nestled near the edge of the clean white sands at the quiet end of Shoal Bay beach. 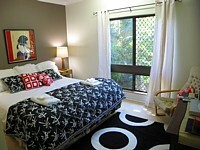 Filtered views of the crystal waters can be seen through the towering gum trees of the bush reserve directly opposite. Click links below for Port Stephens finest homes, units & investment properties for sale. Koala in my front yard! Jimmy's Cooking up a Storm! Have you spotted the whales yet? From July to September, Port Stephens plays host to one of nature's truly magnificent spectacles - the sight of huge humpback whales on their annual migratory journey up the coast to warmer waters to breed, and then the return journey to Antarctica. Bag your bargain this weekend! Every Sunday, Port Stephens plays host to a big local market. Second hand goods, arts and crafts, local produce and supplies - who knows what bargains you may find! Click here to see the photos, locations and date of the next markets. HUGE photos page coming soon! Fishing is HOT this time of year. 3-4kg+ salmon are throwing themselves onto the beach, flathead going crazy & we are overrun by tailor & monstrous jewies! It's true! 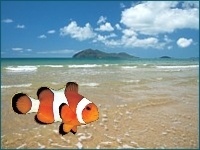 Stinker and Johno reveal all the local info - secrets on how, where & what you're gonna catch up here in Port Stephens. Johno runs 4WD beach fishing tours & ALWAYS catches fish! Port Stephens, the 'Dolphin Capital of Australia' is home to around 140 bottlenose dolphins. They love riding the bow wave of the dolphin cruise boats which depart the Nelson Bay Marina daily. It's not unusual to spot dolphins, which at times come in to waist deep water close to one of the bays many sandy beaches. Picture above was taken from the Moonshadow on a 'Whale Watch' cruise This dolphin played right in front of the boat on the bow wave for about 5 minutes - so close you could almost reach out and touch it! Dolphin watching cruises leave the Cruise-In Booking Terminal in Nelson Bay on a daily basis - I've been on all the boats on many occasions and have ALWAYS seen dolphins. Stockton Beach sand dunes - 32km long and up to 5km wide - great camping, fishing and 4WD exploring as 4WD vehicles and camping legally permitted along almost the entire length of the beach( permits available from Anna Bay Service Station ). This area of Port Stephens is fast becoming one of the hottest tourist attractions and hottest beach fishing area this side of Sydney. Many 4WD tours are on offer and this place is a must see for the visitor to Port Stephens. Copyright � 2003 -2010 Dunesnet.com. All rights reserved.